​Organisers of the Qatar 2022 World Cup have stoked anticipation for the event by unveiling designs for the stadium at which the tournament’s showpiece final will be played. The Lusail Stadium will be used to hold the World Cup final in Qatar, the first to take place in the Arab states. The venue will boast an impressive 80,000 capacity. The stadium is 15km from Doha and will also provide the venue for the tournament’s opening fixture. As quoted by ​BBC Sport, Hassan Al Thawadi, secretary-general of Qatar’s supreme committee for delivery and legacy said: “It has now been eight years since we won the rights to host the 2022 FIFA World Cup and we told the world to expect amazing. 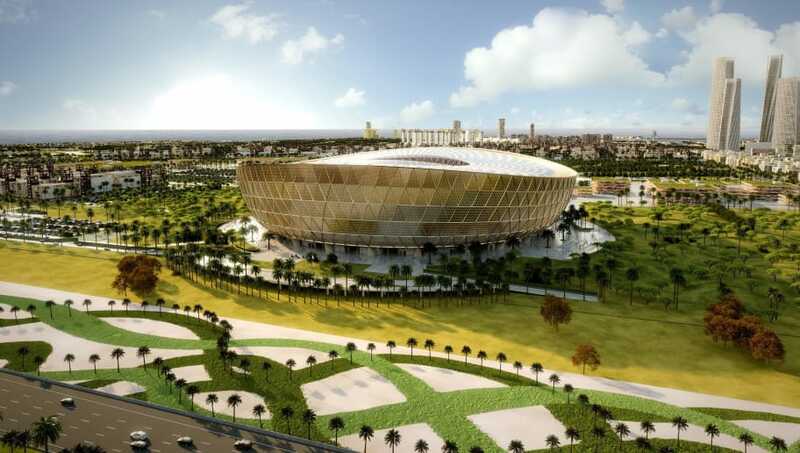 The Lusail Stadium’s use is set to stretch beyond hosting the biggest encounters of the 2022 World Cup, as the venue will apparently be converted into a multi-purpose community hub following the conclusion of the tournament. “The new stadium is a nod to our past and a symbol of an exciting future,” Al Thawadi continued. “On the very same land as the home of our nation’s founder, it sits at the heart of a brand new city. Despite the impressive nature of the designs and the clear signs of progress being made in preparations, concerns have apparently been raised over the treatment of migrant workers who are contributing to the construction of the new infrastructures. It is said that human rights organisations such as Amnesty International have asserted that dozens of migrants involved in the construction processes have gone through months without receiving payment. The tournament will continue to make new records as the first World Cup to be held in the winter. The event will kick off on 21 November 2022.